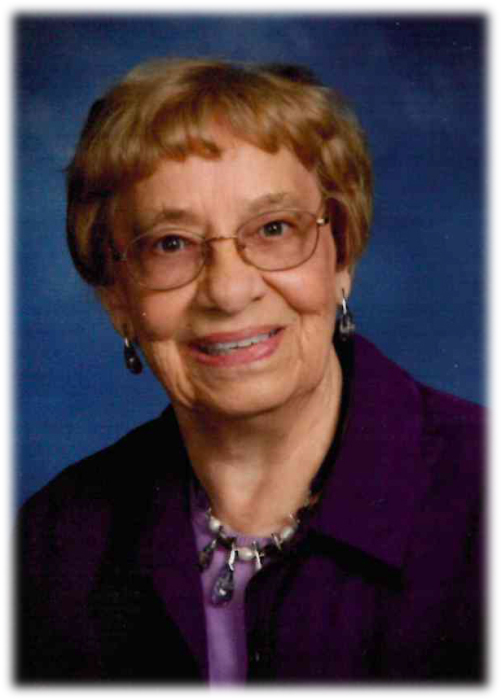 ADELINE REICHENBERG, 93, of Hazen, was called home by her Lord and Savior Jesus Christ on Saturday, November 24, 2018. Services will be held at 10:00 AM CST, Friday, November 30, 2018, at English Lutheran Church, Hazen, with Pastor Justin Johnson officiating. Burial will follow in the Hazen City Cemetery. Adeline Schneider was born on November 12, 1925, at Antelope, ND, the daughter of Gottlieb and Eva (Sayler) Schneider. She was one of 15 children. Adeline graduated from Hebron High School, attended DSTC in Dickinson, and then taught country schools for three years. In May 1946, Adeline married Harold Reichenberg at St. John’s Lutheran Church in Krem, ND. They farmed north of Hazen until 1986 when they moved into Hazen. Adeline was a member of English Lutheran Church. She was active in the church, taught Sunday school for many years and was very involved in the Missions’ Project preparing quilts. She was a volunteer at Sakakawea Medical Center for 15 years, a member of the Hospital Auxiliary and a member of the Hazen Senior Citizens. Adeline was a loving mother, caring grandmother, and dedicated wife. She was an excellent cook and took pride in her home and family. Adeline enjoyed sewing and gardening, but most of all, spending time with family and friends. Adeline is survived by her three sons and daughters-in-law, Jerry (Marlys) of Beulah, ND, Don (Donna) of Hazen, ND, and Lloyd (Sheila) of Hazen, ND; and one daughter and son-in-law, Sheryl (Jeff) Swanburg of Thornton, CO. She was blessed with and is survived by seven grandchildren; 12 great-grandchildren; and three great-great grandchildren. She is also survived by two sisters, Elsie Schneider and Rose Voegele, both of Bismarck, ND; three brothers, Robert Schneider of Spearfish, SD, Stanley Schneider and Roy Schneider, both of Hebron, ND; and many nieces and nephews. Adeline was preceded in death by her husband, Harold; her parents; four brothers, Emil, Reuben, Clarence and Reiny; five sisters, Edna Drecksel, Martha Staiger, Anne Metzger, Lorraine Wiser and Helen Larson.